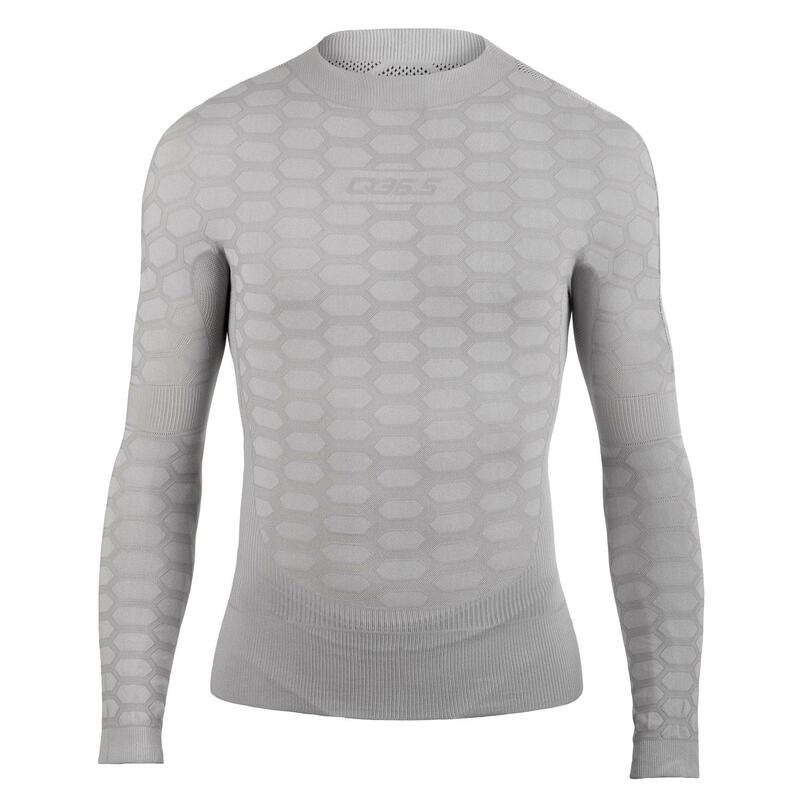 Waffle-weave base layer, ideal for chilly conditions. Soft, stretchy and snug, this baselayer is constructed without seams for an especially comfortable fit. The long sleeves are particularly welcome in colder weather, and the waffle-weave fabric traps an insulating layer of warm air next to your skin whilst efficiently wicking away excess moisture. Wear it under your jersey, or directly under a soft-shell jacket, or layer up with both, depending on the severity of the conditions. - A much tougher lightweight material, since unlike other seamless machines Karl Mayer machines are able to develop a true rip-proof mesh. The base layer's fabric is left un-hemmed, to further remove stitching from the garment. 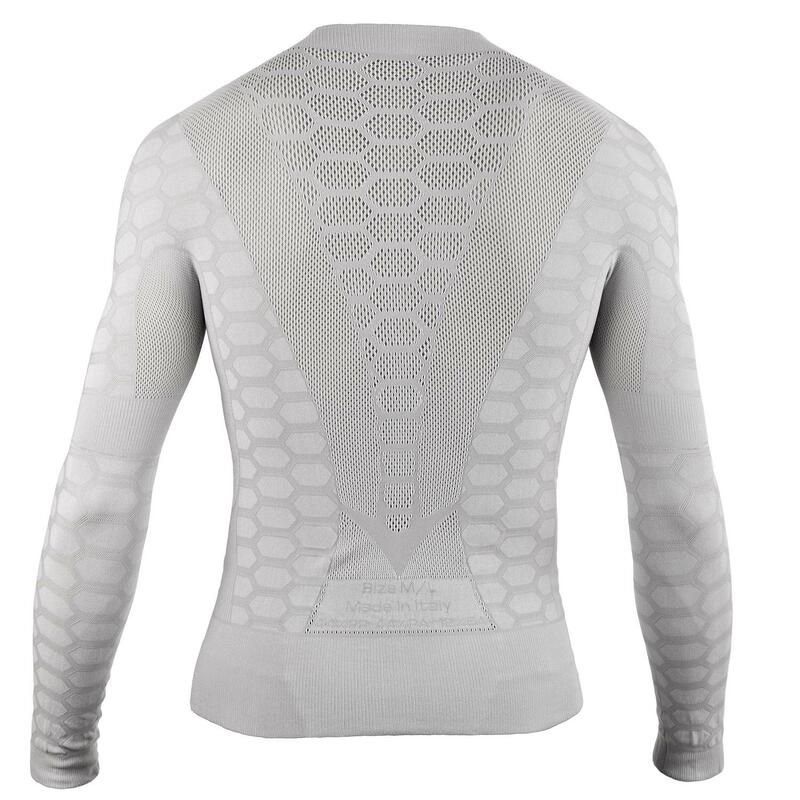 The 'honeycomb' pattern of the knit is deployed in various different densities, along with open-mesh sections as required, to suit the thermal requirements and differing sweat rates of an athlete's body. Not only does this give the maximum degree of comfort and protection, it also allows for the weight of the product to be significantly reduced where possible. The result is a hard-wearing, soft-feeling, well-insulating base layer. Weight is just 108g, despite the low weight being a side-effect of the design, not an objective in itself.